And four is how many people its co-op supports. Neat! Combat plus role playing plus manga plus co-op. That's Elsword in one awkward, repetitive sentence! The free to play sidescrolling beat 'em up MMO is celebrating four years of letting players run around a living comic book. A new promo trailer shows off some of the high points of the game, including combos, combos, and more combos. 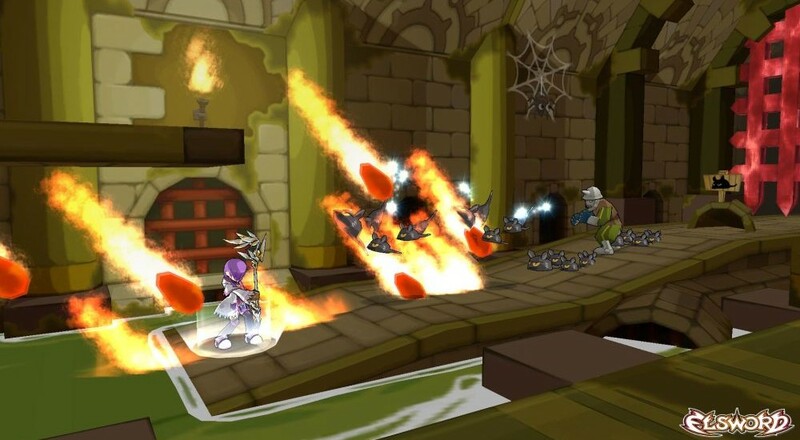 Elsword is built around combat. I mean, it's got "sword" right there in the title, so you know from the get-go you'll be doing a lot of attacking. Choose from nine customizable characters and explore a huge manga-inspired world, all while beating up everything that stands in your way. Mastering combo attacks is the key to leveling-up your character, and once you do you can unlock some crazy cool special attacks. That's basically the only reason anyone plays beat 'em ups, right? For over-the-top special attacks? You can head out on solo missions in Elsword, but the real fun is in co-op. Up to four players can form a party and head out to beat things up as a team. Coins aren't shared, though, so be sure your buddies don't spoil all the spoils. If they do, there's a little PvP mode you can enter to get your revenge. Page created in 0.6968 seconds.